Come eat, get to know your SAC representatives, and give feedback on how we can help keep UNO a great place to be; March 14. I like pancakes! You like pancakes! Join the Staff Advisory Council for Maverick Pancake Palooza! The Staff Advisory Council invites all UNO staff members to a breakfast celebration to recognize all your hard work. Come eat, get to know your SAC representatives, and give feedback on how we can help keep UNO a great place to be. 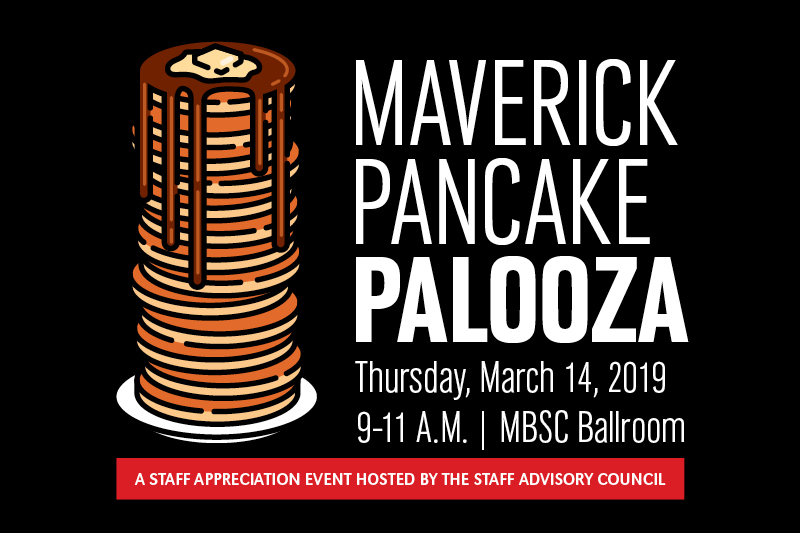 The Maverick Pancake Palooza will take place Thursday, March 14, 2019 from 9 A.M. - 11 A.M. inside the MBSC Ballroom. Come enjoy all you can eat pancakes! Plus sausage, fruit, toppings, hot chocolate, cider and a gourmet coffee bar.